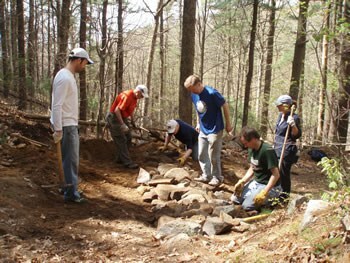 In the Fall of 2006, the Friends of the Blue Hills initiated the Trails Maintenance Program to address the work needed on the 125+ miles of trails in the Blue Hills Reservation. For those who want to work under the supervision of a trail leader, we conduct maintenance events once a month from April through December. For those who would prefer to work on a specific section of trail on their own schedule, we offer the Adopt-A-Trail program. 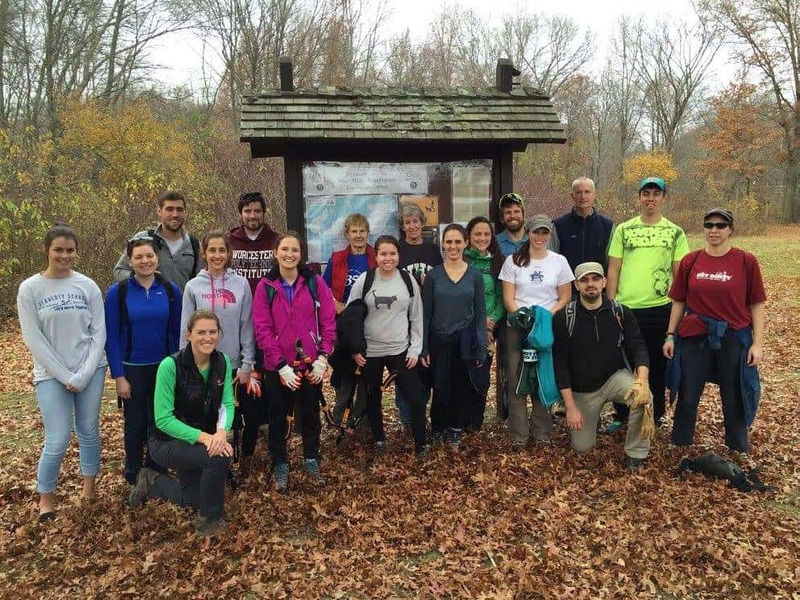 Take the next step to get involved and help preserve the Blue Hills Reservation! We conduct work events on Saturday mornings, once a month from April through December. Events run about four hours, followed by a pizza lunch. Meet us at 9 am at the Houghton’s Pond main parking lot, 840 Hillside St, Milton. Wear sturdy boots, long pants and work gloves and bring at least one quart of water. You may also want to consider bringing sunscreen and bug spray. All dates are Saturdays. Trail events begin at 9:00 am at Houghton’s Pond main parking lot, 840 Hillside St, Milton. We will carpool to the work sites, work until about 12:30 pm and gather back together for a pizza lunch. 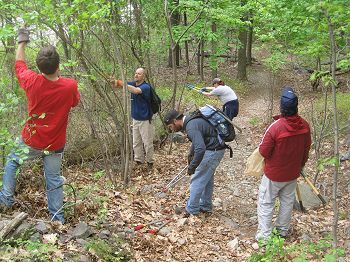 This program is designed to have volunteers work with trail leaders to maintain drainage structures such as culverts and water bars, and to clear the trails of overgrowth and downed branches. Volunteers will receive training in working safely as well as proper maintenance and use of the tools.